Performance, luxury, and the woes of not having a charger at home. 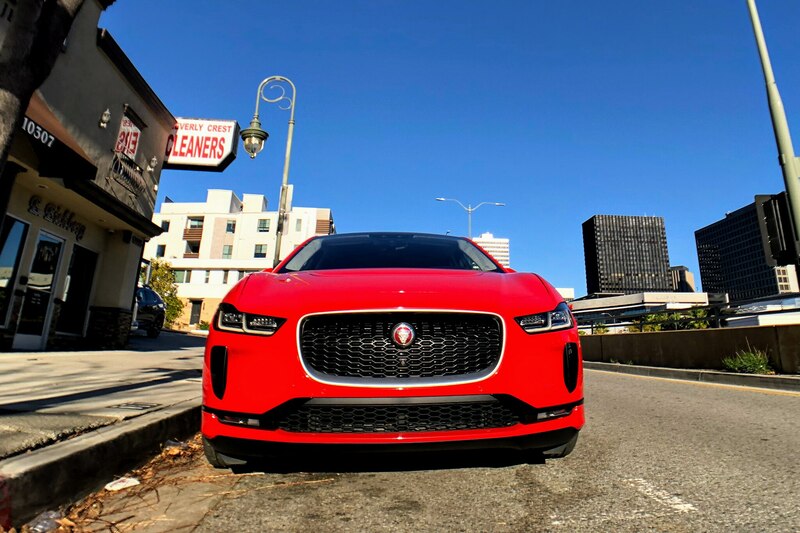 The electric revolution is well and truly underway across the automotive industry, including at old-world automaker Jaguar. That brand’s first arrow in its EV arsenal is the I-Pace, a dual-motor, all-wheel-drive luxury crossover that aims to win over consumers looking to live a gas-free lifestyle while avoiding the rather predictable choice of a Tesla. 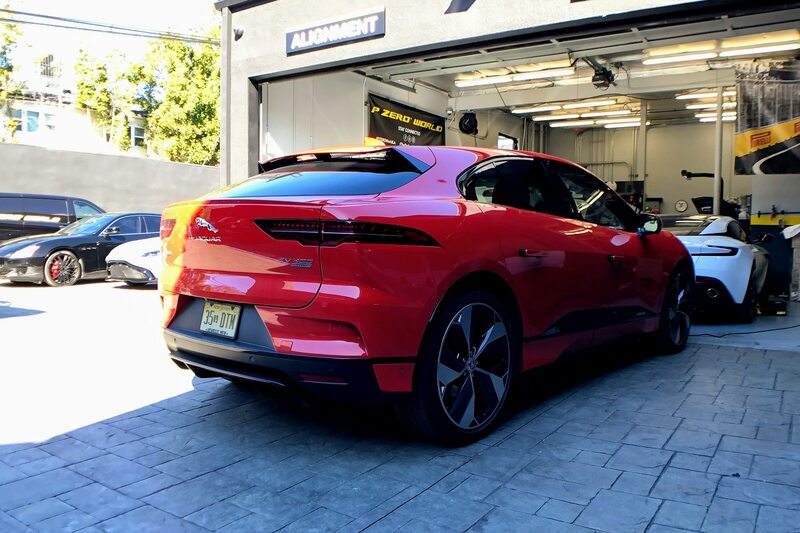 Our I-Pace arrived on the heels of our own Arthur St. Antoine’s week with one, and simply entering the thing is a ceremony. The door handles extend from the sheetmetal, the mirrors unfold, and puddle lamps splash logos on the ground. It makes a strong first impression and serves as a reminder that this is no ordinary car, a feeling further reinforced by the concept-car-for-the-streets $1,700 22-inch wheels with carbon-fiber inserts. 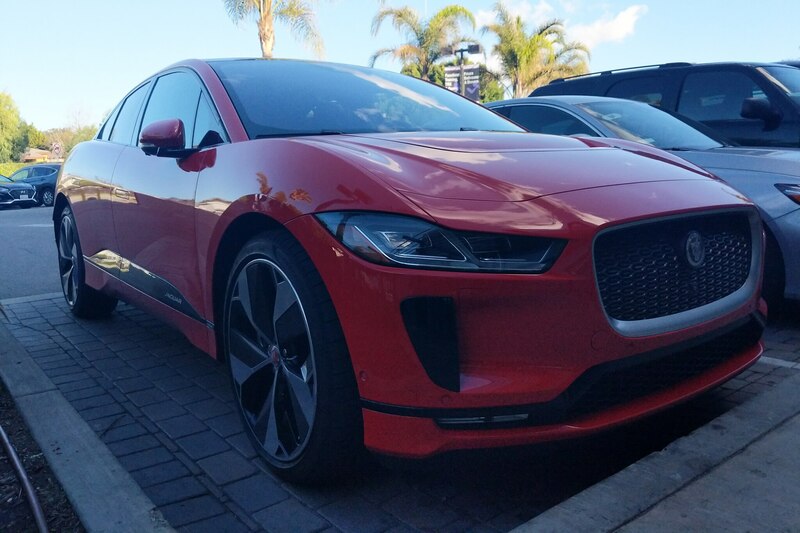 The I-Pace can accomplish the zero-to-60-mph sprint in just 4.5 seconds, and the 512 lb-ft of torque from the dual motors applies instantly. At full throttle, the car yanks forward in a way that no gas-powered vehicle can. 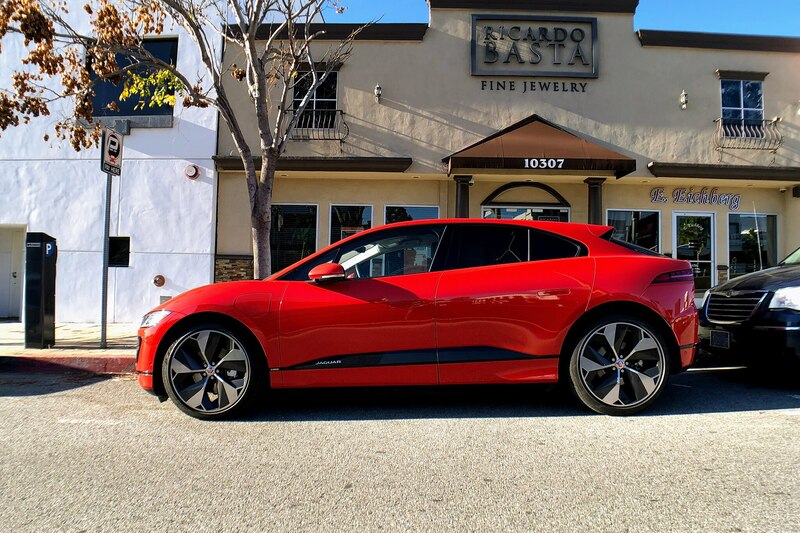 Put aside all of the Jaguar’s other technological party tricks, and its ability to tear away from a stoplight is enough to impress (and terrorize) your passengers. Our I-Pace’s massive wheels were wrapped in Pirelli P Zero rubber, but the air suspension handles the rolling stock with aplomb, delivering a surprisingly comfortable ride. Even with the radio turned off, the I-Pace is whisper quiet on the freeway, save the hum of the electric motor and a piped-in sound that gives an aural indicator of how fast the motors are spinning. The artificial noise takes a background to the stereo and adds to the feeling you’re driving the future, although one can turn it down if so desired. 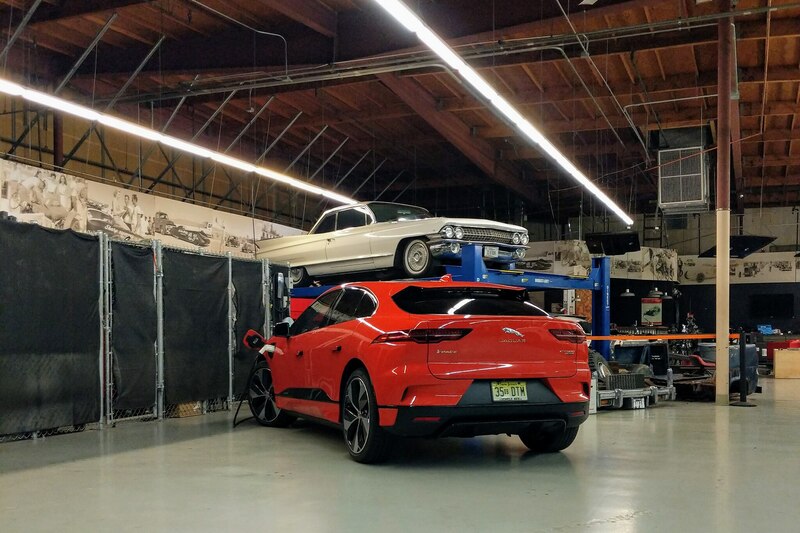 The I-Pace found other ways of impressing during our time together, offering massive grip and a low center of gravity to tackle L.A.’s sweeping on-ramps and the area’s twisty roads. The steering feel is close to what I’ve experienced in really good sports cars. Even though it’s electrically assisted, the steering wheel feels directly connected to the front wheels and is accurate and responsive enough to make navigating rush-hour traffic or crushing corners a snap. 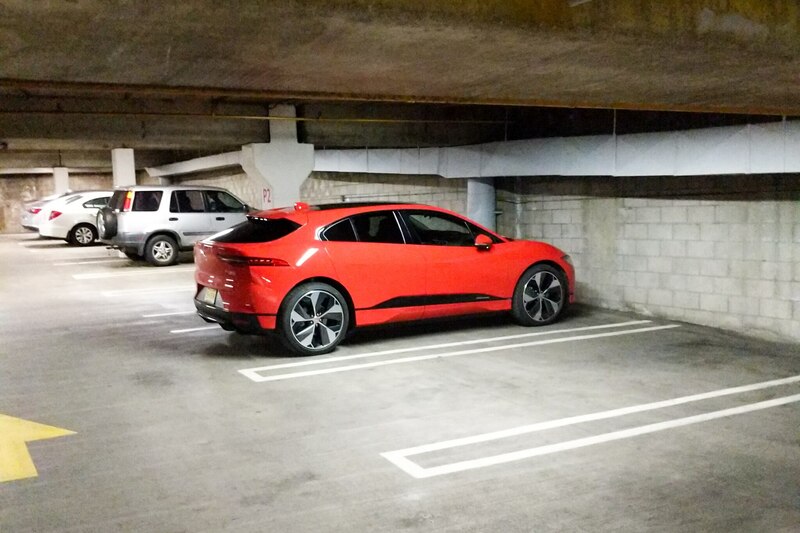 After the corners are crushed, however, the I-Pace needs to recharge. Its 90-kWh battery pack is good for an estimated 234 miles of range, which is nearly equivalent to a full tank of gas in many conventional cars. 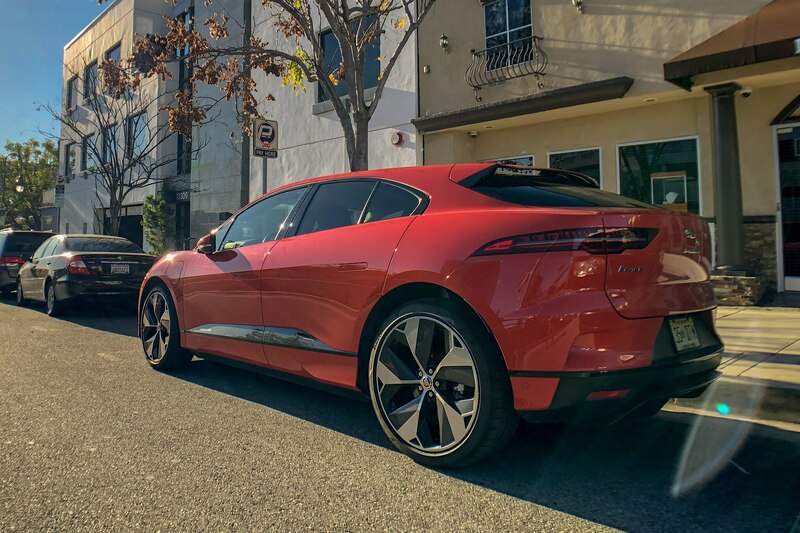 The big battery takes a lot of juice to recharge, and we’ve found that the I-Pace isn’t compatible with every type of third-party charger. This lack of compatibility, coupled with the fact that my apartment complex doesn’t have any stations for EV charging, made it difficult to easily power up the I-Pace during the four days I spent with it. On the day before I had to return the keys, I spent an hour searching the west side of L.A. for an available or functioning charger. Eventually, a tip from a former Automobile staffer led me to a bank of open ChargePoint stalls. After a two-hour stay, I gained an extra 30 miles of range, bringing me back up to an estimated 92 miles left on the battery. Those extra miles ended up coming in clutch for a last-minute trip up to Burbank during which I logged 42 miles and kept the I-Pace in “Eco” mode the entire time. To keep myself from driving too briskly and wasting range, I also used the adaptive cruise control with steering assist. 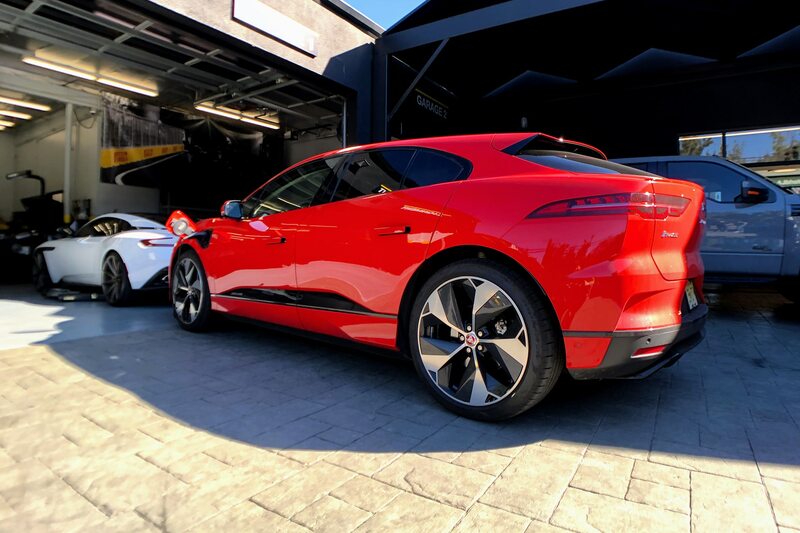 The Jaguar stays in its lane without much wandering or asking for too many inputs from the driver, and it maintains following distance with precision. 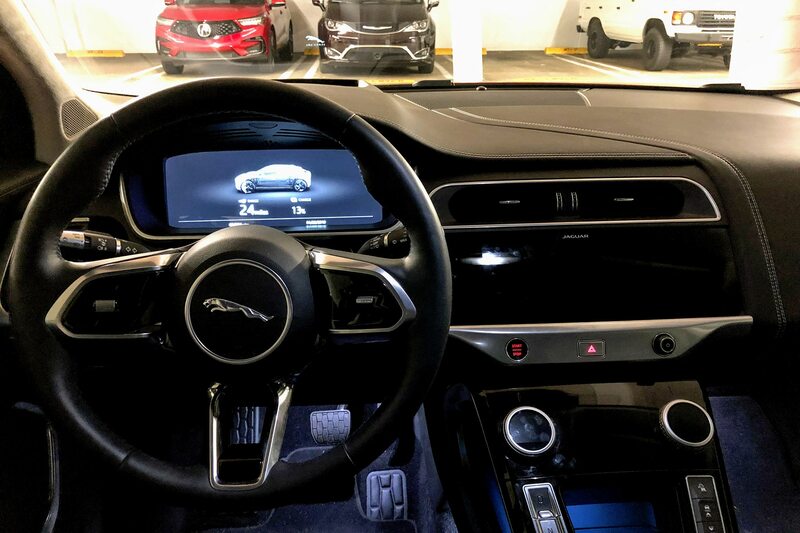 I was also struck by the breadth of Jaguar’s safety and convenience tech, which includes Android Auto and Apple CarPlay. The blind-spot monitoring and 360-degree camera systems do a great job of alerting you to any potential dangers, whether on the highway or in a parking lot. The infotainment system is perhaps the vehicle’s greatest weakness, however, as the screens have far too much lag in responding to inputs. The sticker on our test car was $86,895, pretty expensive among luxury crossovers, although senior features editor Nelson Ireson pointed out it’s still less pricey than the now entry-level Tesla Model X 100D, which requires $97,000 to start. It’s also worth noting that the I-Pace does start at $70,525 with fewer bells and whistles. 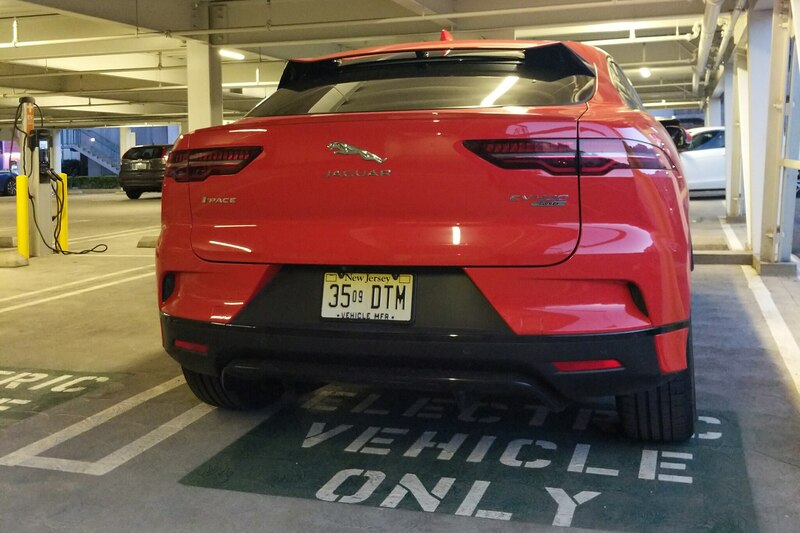 The difficulty of finding a charger was the biggest blemish during my otherwise enjoyable stint with the I-Pace, and that can hardly be blamed on the car. 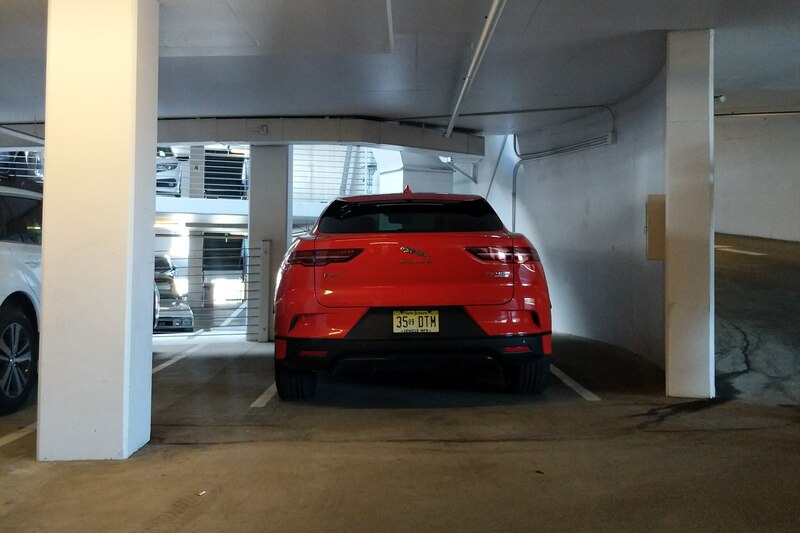 For many excited onlookers, it was the first example they’d ever seen—indeed, the Photon Red crossover had tons of pedestrians and fellow drivers craning their necks for a better look. 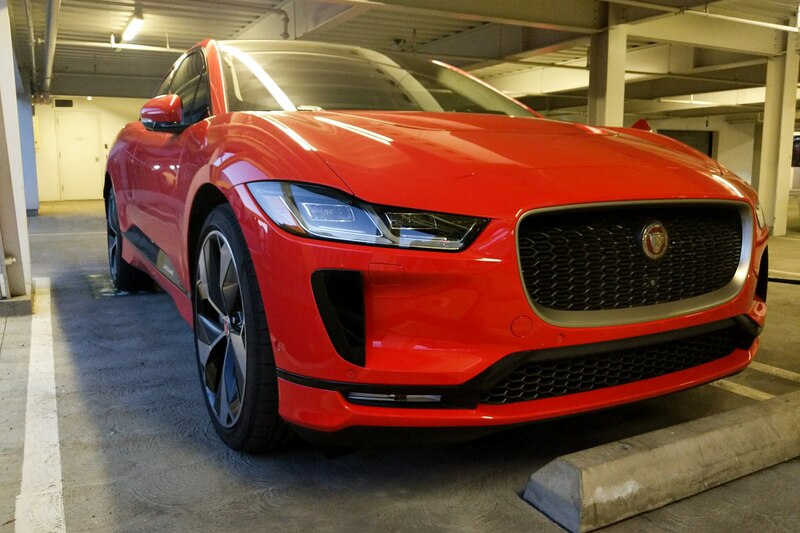 With its smartly sculpted exterior, rewarding driving experience, and gutsy electric powertrain, the I-Pace offers the aesthetic and athletic boldness you expect of a Jaguar—just be sure to get a fast-changer installed in your garage.